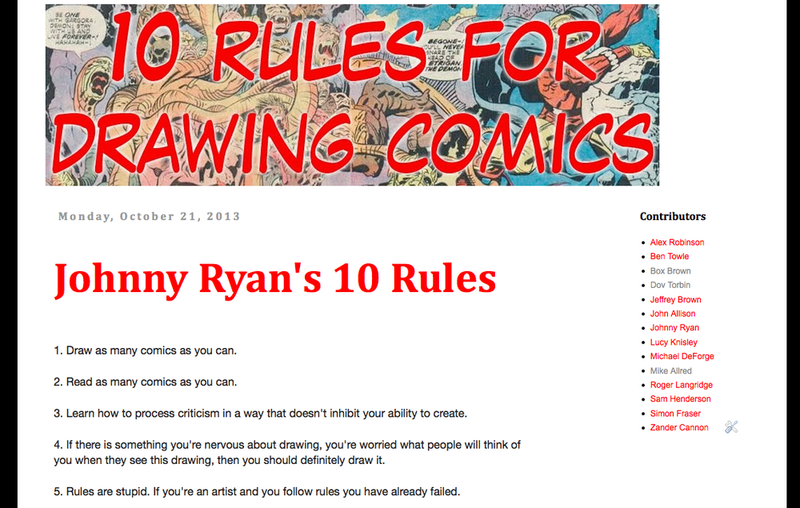 10 Rules for Drawing Comics is a blog I created in 2013. The site features the personal 10 rules of some of today's best cartoonists, including: Mike Allred, Johnny Ryan, Roger Langridge, and Alex Robinson. The site currently has over 350,000 views.